Verbl creates apps designed for speech pathologists to improve efficiency and clinical outcomes. Simple, easy to use, with better results for speechies and their patients. Simple, efficient and easy to use, our apps are also cheaper than most on the market. Customisable and designed to consider the needs of the whole patient. Promoting patient autonomy, while providing you with more accurate results. A powerful fluency assessment app, designed to collect the maximum amount of clinically useful information while remaining intuitive to use. Stop using a calculator and get a tool that does the work for you! Assists with the treatment stutters, stroke victims or those suffering from Parkinson's who require assistance in controlling the rate of speech. 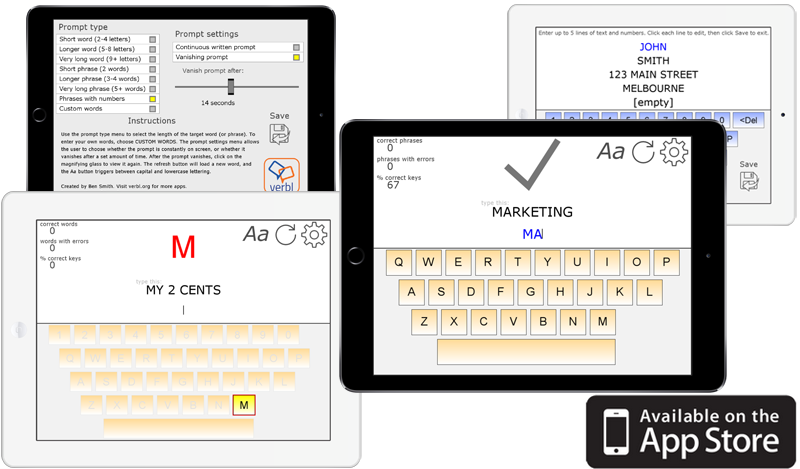 Use an app that adds a number of handy high-tech features to the traditional wood and paper pacing board method. 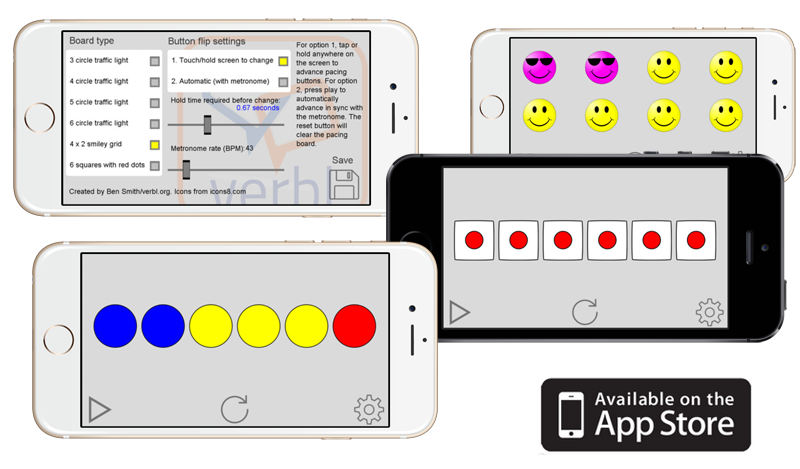 Designed for treatment of dysphasia resulting from brain damage, this app helps to familiarise with the use and layout of a keyboard. Click through for key features. If you have aphasia or other communication problems, you should talk to a speech therapist before using any apps. Every person is different, and your therapist can help you decide what apps are right for you. All Verbl apps are created by Ben Smith, a speech pathologist working in Melbourne, Australia. Interested in the use of technology for the assessment and treatment of communication disability, I write these apps in my spare time. Suggestions for improvements or ideas for new apps are always welcome. Drop me a line today!